Visionary Managing Director, Mark Smith shares his experience of introducing video job advertising to his recruitment firm and discusses the challenges of implementation, the benefits of creating a video-first culture and the success people2people has seen in the 2 years since investing in VideoMyJob. people2people are the fastest growing recruitment organisation in Asia Pacific—one of the key reasons for their success is their commitment to excelling at sourcing and in particular sourcing through social media. What is one of the biggest pain points for people2people as a recruitment agency? One of the biggest challenges any agency faces is being able to stand out in a busy marketplace. When you’re talking to candidates, they are being bombarded from all sides, including other recruitment agencies. So we engaged video because we wanted to stand out. Because we are a middle market, white collar recruiter, we’re engaging a largely millennial audience. They are expecting to talk, or engage with you via video. You don’t have a lot of time these days. You’ve only got about 45 seconds to grab someone’s attention when they are looking at an ad, and video is the best way you can do that. What have you found is the most effective way to get the team making regular video? If you’ve decided you’re going to implement VideoMyJob, one of the biggest challenges you’ll have is getting your staff to use it. It all starts with implementation. Implementation is what will really get you ahead of the curve. First of all, you’ll need to have champions in each of your offices or each of your teams. Identify those champions at the beginning and train them first. Include them as part of the actual implementation strategy so that they are bringing everyone else along with them and sharing their success stories, as and when they happen. Secondly, you’re the leader? Top down. You’re going to have to actually do the videos, yourself. Even after two and a half years, I actively participate and create videos on a weekly basis. If you are not doing that, you are not leading. What about the challenge of changing the way consultants do their job? Getting a recruitment consultant to actually create a video is one of the hardest things you will face when you implement VideoMyJob. For each new consultant, make it clear that creating a video is part of their job. It’s not optional. So your managers have to then manage performance against that, to ensure that if someone’s doing their job, they are creating videos and it becomes normal. But the recruiters that have been there for quite a long time… they’re making a lot of money for you, you’re going to find it hard to get those people to use video. The best way to get those people to use video is to make sure that they can see the connection between improvements in their brand in the marketplace, in making them unique and separating themselves from their competition. If they can make a direct correlation between video and a return—then you’ll get them onboard. What effect has video had on your brand and your client relationships? The response to video with the consultants has been much better than I expected. Once you have embedded video into the culture and it’s a habit, it gives the consultants the opportunity to build on their own personal brand and express their personality. Some of them do it better than others, but overall from a corporate point of view it gives a personality to your company and exposure outside of the organisation. Externally, with clients; video has given us the chance to stand out, to be unique and to have a conversation that’s different from the next agency and for us to be validated. Sometimes as you are growing into a new marketplace, clients don’t actually have the time to meet you as a person. And you can actually articulate your USP to them, via video, which makes a big difference. Finally, from a candidate perspective, the one thing that has stood out is that candidates will walk up to you and say ‘hey Mark, how are you?’ thinking they know you already when really they have just seen your videos. It gives you a better chance to really communicate. How have you measured the success of people2people’s video marketing strategy? When you’re using video it’s actually quite hard to measure the metrics and a lot of recruitment agencies and owners think of it in a very linear way, that when you put an ad up and create a video—it will ultimately lead to a job. But it doesn’t work that way. What I measure is, firstly how many videos are we creating? We’ve created over 1500 videos in the last couple of years and we’ve had over 400K views on our YouTube channel—which equates to about 2200 views a week, which is quite a lot! What it really comes down to is, when your clients are looking to engage you, or your candidates are thinking ‘should I go and see this particular recruitment company?’ This is the way they will validate you, they will check you out and by looking at your videos they may make a decision as to whether or not they will come and see you. One of the questions I had when VideoMyJob approached me was “What’s my return on investment?” One of the best ways for you to answer this question is, if you can’t afford a marketing department and you need a digital marketing presence... then VideoMyJob gives you a foot in the door. What it enables you to do is actually build a digital footprint without hiring a digital marketing specialist, your consultants actually create the content for you. So in terms of the return on the investment—well if you don’t have a marketing department but you have VideoMyJob, you’re halfway there. Do you have any advice for agencies looking at investing in a video solution? 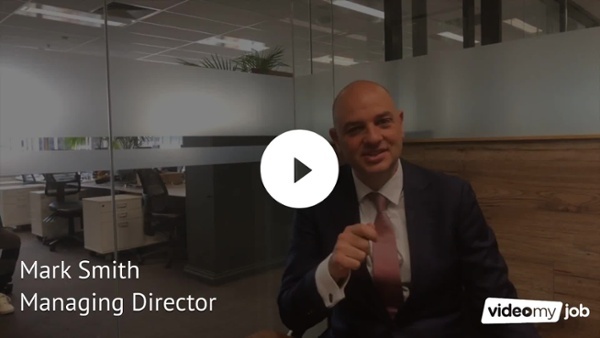 If you’re close to making that decision to invest in video, my advice is that you’ve got to have a view of using video as a broader marketing solution, not just a sales tool. It’s got to be part of your overall marketing strategy. It’s just one channel that you have to win new business. And take baselines, before you even start, have a look—how many visitors do you have to your website? 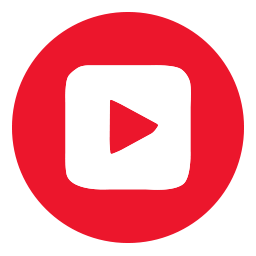 How many video views do you have on YouTube? Have a look at where you’re ranked in Google organic search. After a year and a half of using VideoMyJob, I guarantee you will be in a much better position, but you need to have a holistic approach to the way that you look at these things. Are you ready to start building a video-first culture in your recruitment agency?